Meet Lo Wang, quick-witted corporate shogun and katana enthusiast. Ordered by his employers to collect a legendary blade of mythical power, Lo Wang finds himself double-crossed and left for dead. When he discovers the blade’s connection to a realm of evil gods pushing though into our world, this unlikely hero must use every weapon available to him to defeat the demon invasion. 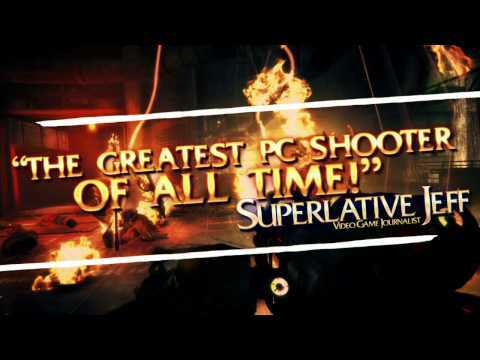 Use guns, swordplay, magic and pithy one-liners to battle the armies of evil in this exhilarating remake of the classic shooter. Upgrade and deploy a diverse arsenal of firearms – including revolvers, quad-barrel shotguns and rocket launchers – or slice and dice your enemies with elegant katana combos and special attacks. Meet the demons on their own terms by calling on mystical powers and banish them back into the darkness. You are Lo Wang. Your enemies rest in pieces.